These clear vinyl bags are available in three sizes and are available with your choice of either white or black drawstring closures. 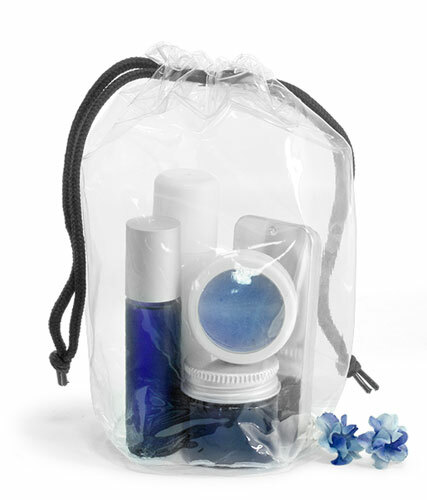 These clear vinyl bags can fit a variety of lip balm tubes, tins, jars and roll ons. Pick a couple of your favorite lip balm flavors and package them in a clear vinyl bag to offer your customers unique lip balm packaging. (Contents not included).